Lowe’s (NYSE:LOW) reported Q4 earnings of $0.29, including $0.02 per share in charges, up from $0.26 per share in the year ago quarter. Sales were up 5.6% to $11.66 billion. 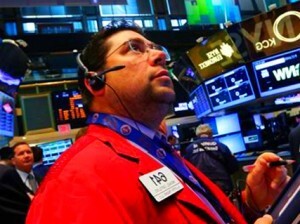 The analyst consensus on Capital IQ called for earnings of $0.31 per share, excluding items, on sales of $11.67 billion. The company also approved a $5 billion stock buyback plan. For FY 2014, the company expects total sales to increase about 5%; comparable sales to increase about 4%; and EPS of about $2.60 per share. The Street is at $2.65 per share. Electric utility company The AES Corporation (NYSE:AES) reports Q4 2013 adjusted EPS of $0.29, in line with the Capital IQ consensus. Year-ago adjusted EPS was $0.31. Revenues totaled $3.8 billion, down from last year’s $4.4 billion, largely missing the $5.6 billion analyst forecast. For 2014, the company expects adjusted EPS of $1.30 to $1.38 versus the analyst estimate of $1.37. Additionally, the board of directors approved a $0.01 increase in its quarterly dividend, to $0.05, beginning in Q1 2014.